Snorkeling from Cancun is one of the most popular and easiest activities for visitors to enjoy. Most visitors to Cancun want to see more than just the great beach. 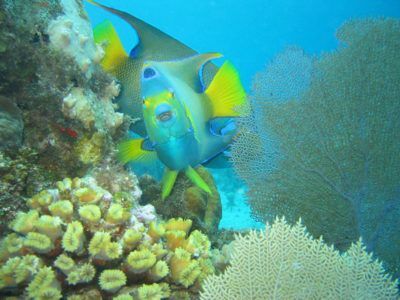 Our snorkel transfers to impressive reefs provide the perfect opportunity to do this. 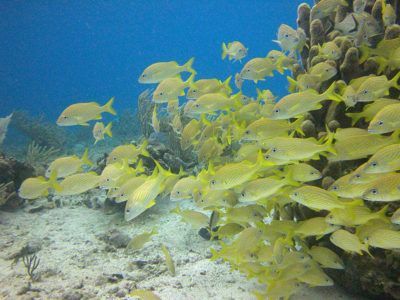 No local snorkel tours are available but our daily Cancun snorkeling departures to reefs further south offer something for everyone. 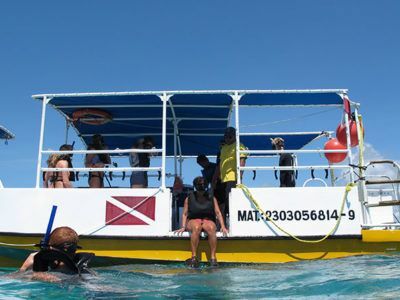 The snorkeling boats leave from our snorkel shops located in the Iberostar a little more south. 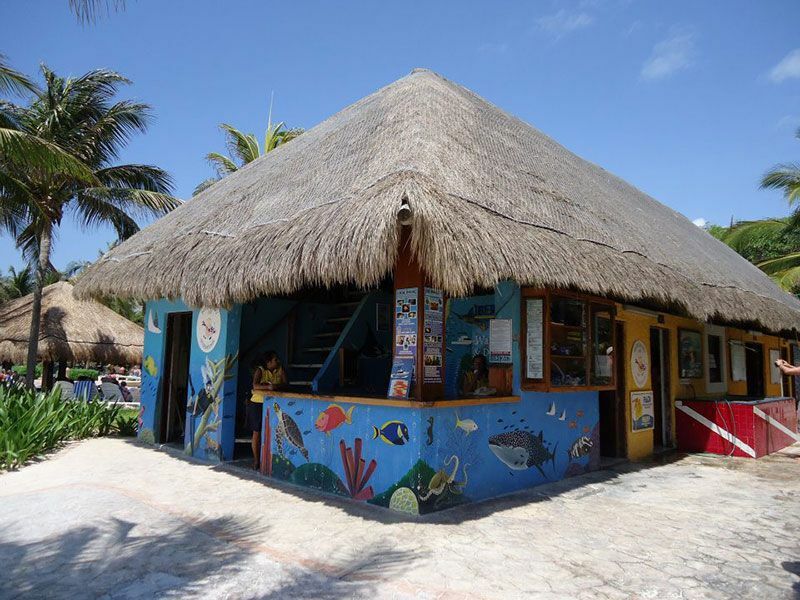 The transfer itself from the Iberostar Cancun to these shops are organized daily AND TOTALLY FREE. We offer two daily snorkel transfers to visit the renown reefs down south. It is really easy to go. Just sign up and leave at the appointed time right from the hotel reception with our transfer van. 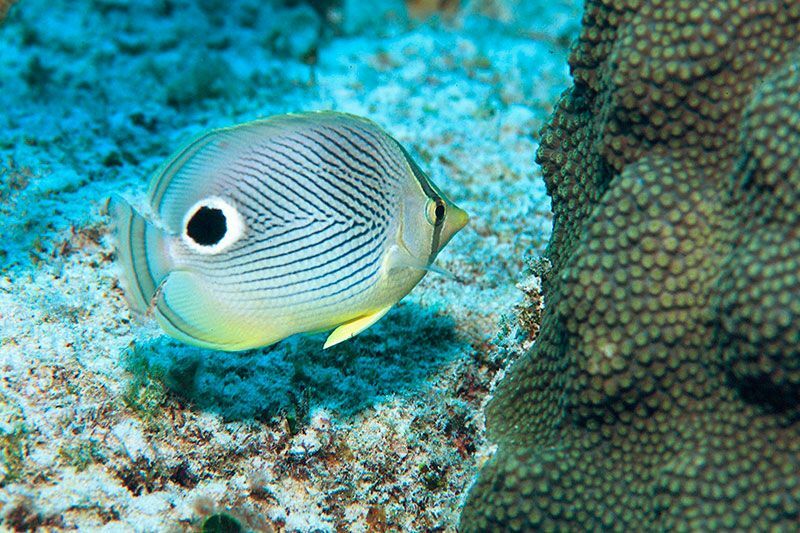 You will be back from a great visit to the reef in just a few hours. 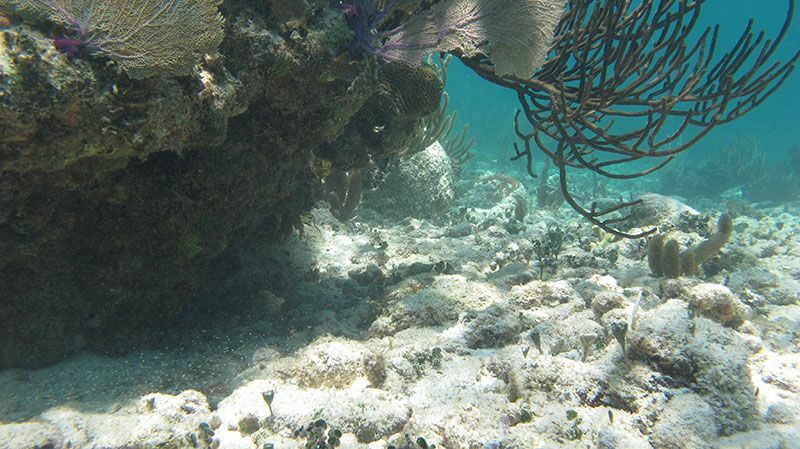 We go out twice a day to the Inah reef. After a very enjoyable boat ride of about 15 minutes, along the beautiful coastline of Cancun, we arrive at the Inha Natural Reserve. 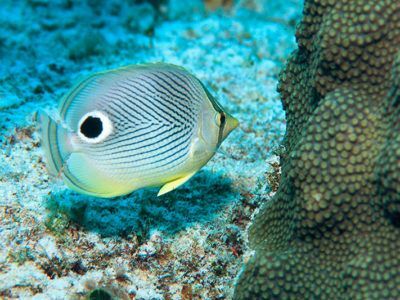 Known for its extensive coral population, one enjoys drifting over its fan corrals, brain corrals and sponges in search of the many colorful fish including the butterfly fish, angel fish, parrot fish, yellow tail, grouper and Barracuda. Every morning at 10 and in the afternoon at 3 our comfortable snorkel boats head out to the amazing Punta Maroma reef. The direction is south, and for ten minutes we enjoy the view of the coastline. Once at our destination, we gear up and get ready for action! 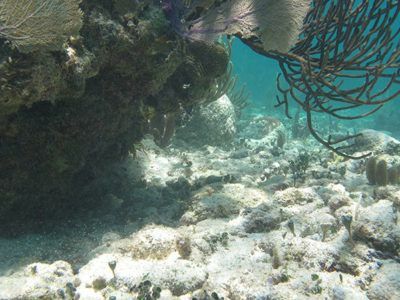 Forty five minutes of snorkeling in the crystal clear shallow waters of Punta Maroma will completely relax your mind with an overview of eels, octopus, all types of coral and colorful fish, sting rays and turtles! 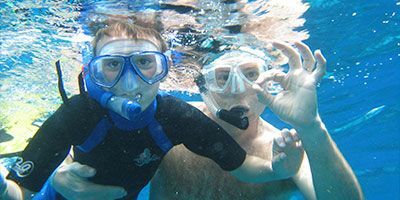 As a guest of this Iberostar the snorkeling is organized for you by daily free transfer to the Iberostar Resorts of Playa del Carmen and Cozumel with the very best snorkeling in the region. 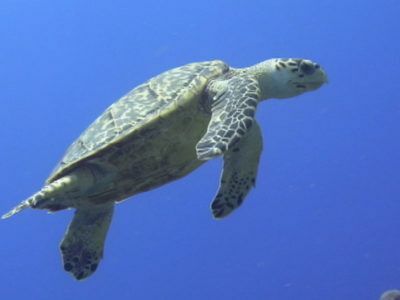 Visit & Snorkeling outings can be arranged from a large number of other resorts on the island! 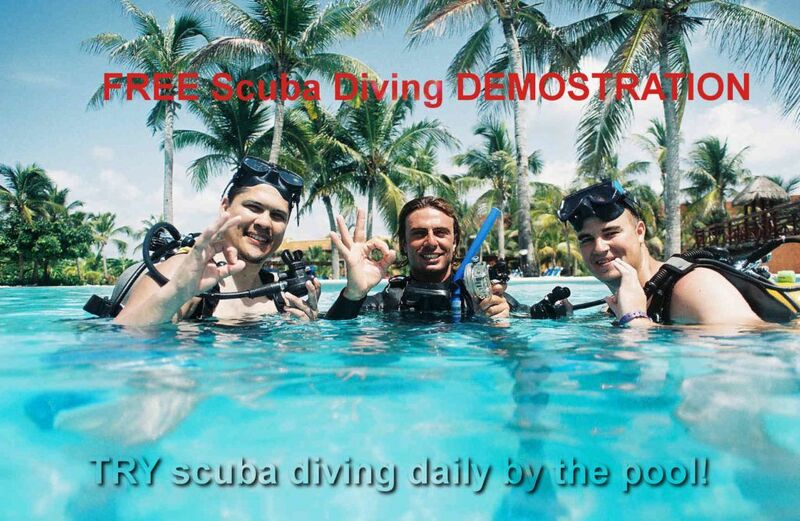 Why not take a walk & snorkel with Dressel Divers? A number of resorts are located along the beachfront, meaning that the Iberostar Hotel and Dressel Divers are just a short walk away. NOT STAYING AT THE IBEROSTAR Hotel but would like to snorkel with Dressel Divers? We can make this happen with a transfer arrangement (exceptions may apply). Want to spend a full day at the resort? Sign up for an ALL-IN Transfer, which includes lunch (buffet), unlimited drinks and use of the beach, pool and facilities. 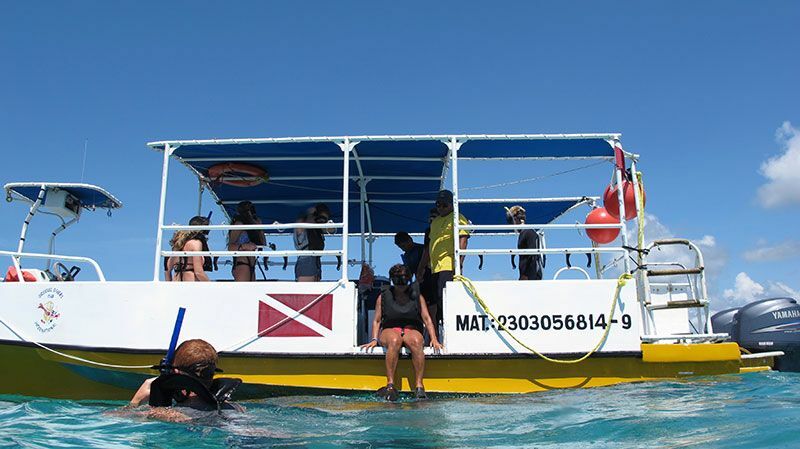 You – and anyone else in your group – can take a diving course or enjoy waverunners, parasailing or banana boat rides. 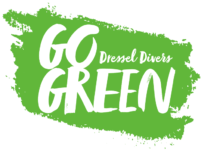 Sign up for a transfer & snorkel with Dressel Divers! A number of resorts are within easy transfer distance (exceptions may apply)! 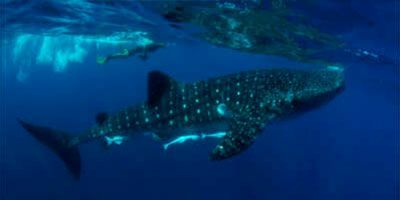 Why not join us for a VISIT & SNORKEL outing? 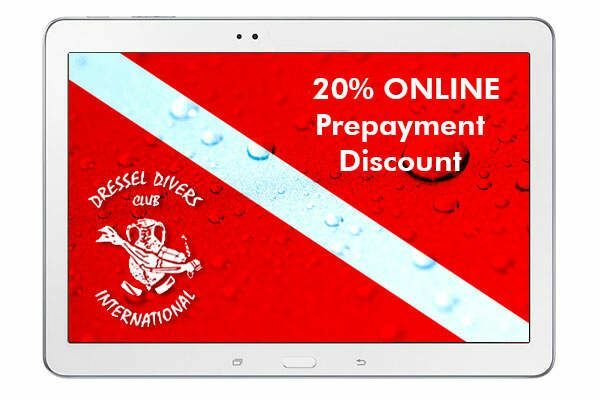 Dressel Divers offers snorkelers a 20% online prepayment discount when they purchase snorkeling activities online before their arrival; these activities must be paid prior to departure by means of a credit card or bank transfer. Although all equipment is included perhaps you prefer to buy your own super economical snorkel. You can also buy a brand new personal set with mask and fins in which case we give you a professional quality snorkel for free. We have plenty of models and colors to choose from. Want to feel at one with the ocean? You can! 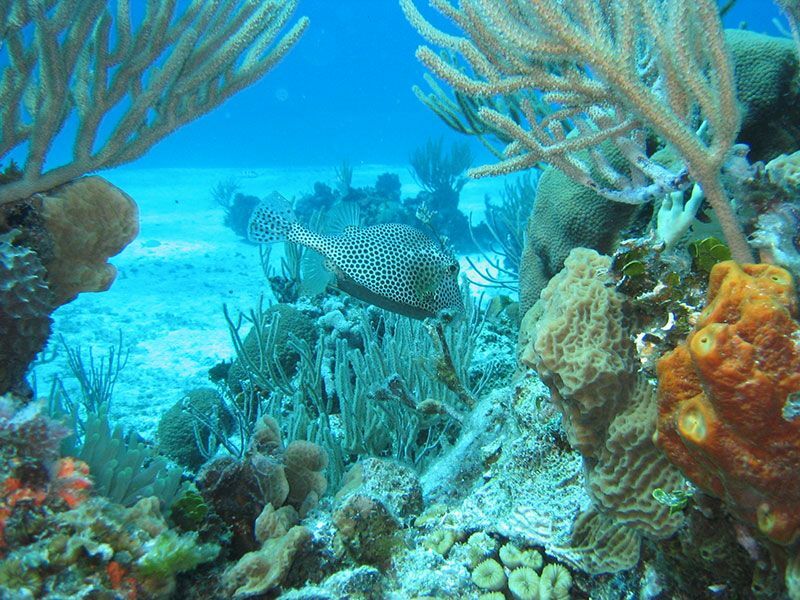 As a snorkeler, you have already acquired numerous underwater skills, so why not take it a little deeper, a little longer, and swim with the marine life instead of above it? 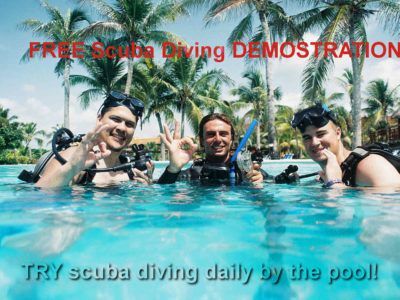 Every day, Dressel Divers personnel hold a free scuba diving demonstration by the pool, where you can submerge fully decked out in divers gear and experience what it feels like to stay underwater.